A new King has risen on Pride Rock and with him a new Era, an Era of peace and prosperity for the lands once ravaged by his very own Uncle as well as peace for lands once threatened by the same darkness. However peace never lasts and light must always be followed by dark, waiting in the shadows are many threats for the tenuous peace, be it a fallen and bitter Queen or a son who carries the same evil as his father inside. Peace reigns for now but like all things isn't guaranteed to last forever, a darker horizon awaits just around the corner. 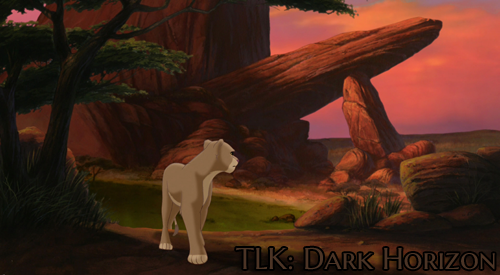 Dark Horizon is an alternate universe TLK roleplay that expands on not just the story of the Pridelands but other lands such as the lush jungle Lowlands or the hot dry Desertlands. With a word count of 250 it caters to not just one but all roleplayers with many opportunities to create your own story outside of the Pridelands we all loved as well as in them with canons and OC's alike. Our community would love to have you and we hope to see you join our family!